Frederick Douglass, born a slave, became a leader of the abolitionist movement, gaining notoriety for his oratory and writings. 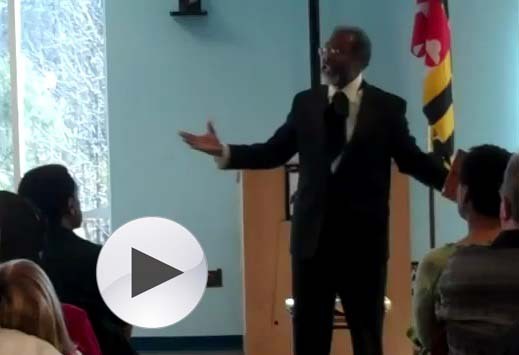 St. Mary’s County Public Library, St. Mary’s County NAACP and the Unified Committee for Afro-American Contributions (UCAC) and the Minority Outreach Coalition (MOC) invited Mr. Walter Jones to Lexington Park in recognition of African American History Month. Mr. Jones brought Mr. Frederick Douglass. “I would unite with anybody to do right,” Frederick Douglass said throughout his life.